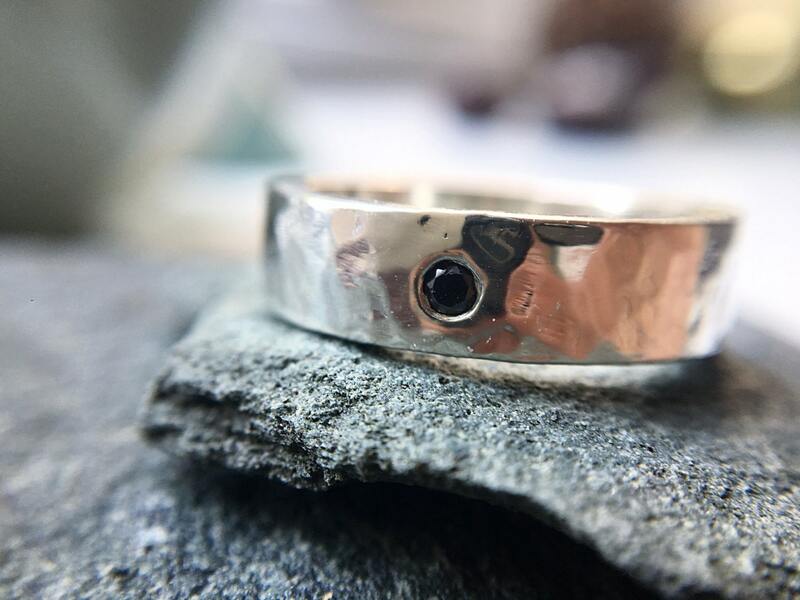 This is a lovely wide band, hammered for a nice structure and with a flush set black diamond. 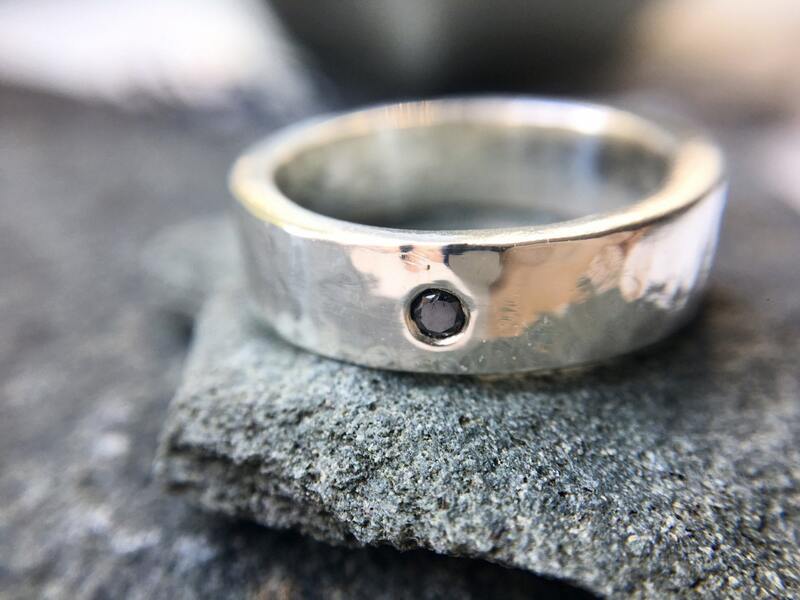 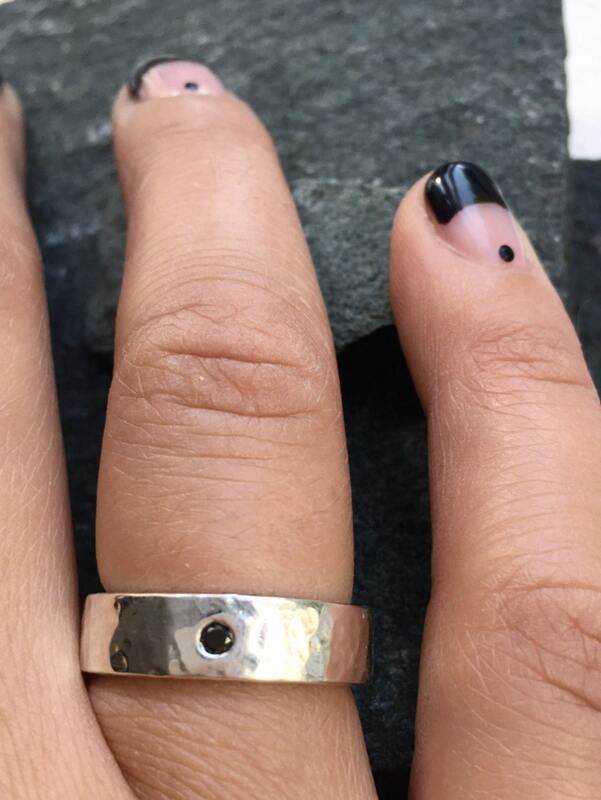 This ring is made with 2mm thick sterling silver and a 2mm black diamond. Perfect as a gift or as an alternative engagement ring. 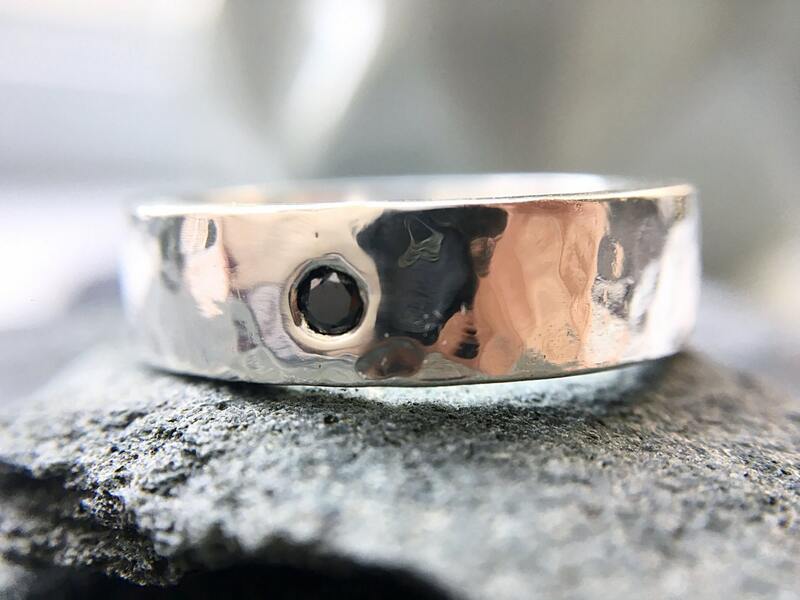 For custom made pieces: the amount of stones can be altered, structure or finish changed, or a different type of stone used.